Rose Quartz is a stone of the heart, and a crystal of unconditional Love. It carries a soft feminine energy of compassion and peace, tenderness and healing, nourishment and comfort. Rose Quartz speaks directly to your Heart Chakra, dissolving emotional wounds, fears, resentments and circulates a Divine loving energy throughout the entire aura. Reawakening the heart to its own innate love provides a deep sense of personal fulfillment and contentment, allowing you the capacity to truly give and receive love from others. Moonstone is very powerful since it’s aligned with the energy of the moon, which also carries with it a very feminine energy in nature. A popular Moonstone meaning is that it helps in wish fulfillment. This tends to work best on things that are needed versus things that are just wanted. Too often we want things that really aren't good for us and Moonstone helps us understand why we shouldn't have everything we want. Be careful what you wish for it may come true. When both of these very feminine stones are mixed together your true Goddess nature will start to surface. Beautiful polishes !!! And it worked like magic. 5 stars, plus excellent customer "treatment" I feel like I was spoiled with a tsunami of luxury by something smaller than the palm of my hand. 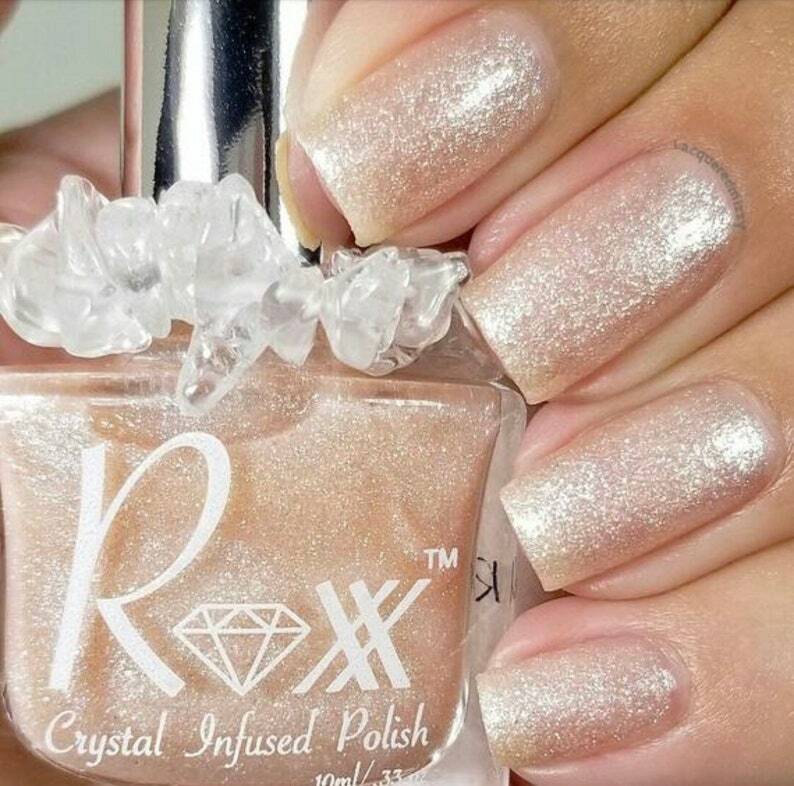 My favorite nail polish I own! Also can’t stop looking at this gorgeous color! Thank you!